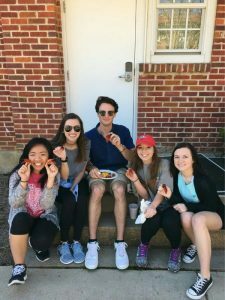 Students who transfer to the university are eligible to live in a community of fellow transfer students that offers activities and events aimed at enhancing their college experiences. To be eligible to apply for this community, your current admissions classification must be sophomore (with at least 30 credit hours), junior, or senior. If you have questions about your classification, please contact the Office of Admissions. Once you’ve selected a room, you may use the optional room change section in the application to view other spaces available to you and select one of those spaces if you’d like. As long as there are available spaces, you may use the room change section until 4:00pm CDT on July 24. Room changes will next be available after fall semester begins..